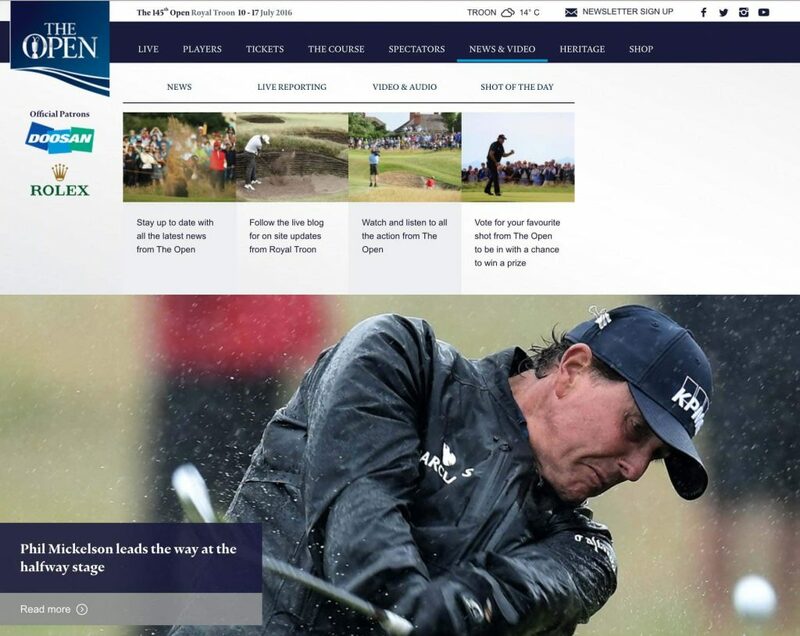 Phil Mickelson maintained his position at the top of the leaderboard with a score of 69 in the second round of The 145th Open at Royal Troon. There were a couple of interesting rulings involving ball markers during round 2 at Royal Troon. The first involved the halfway leader, Phil Mickelson at the 12th hole. When picking up his marker from behind the ball, Mickelson very slightly touched his ball with the marker and in doing so caused it to move. The walking referee advised him that as he had been fully in control of the marker when the ball was touched and moved, the movement of the ball was considered to be directly attributable to the specific act of lifting the ball and there would be no penalty (Rule 20-1 and Decision 20-1/15). Mickelson was told to replace the ball on the spot from which it moved, however the ball would not come to rest on that spot. The player was then directed to try to replace the ball again on the spot, but when the ball still did not come to rest, he then had to find the nearest point where it would come to rest (Rule 20-3d). The second marker related ruling occurred when Zander Lombard tapped down his marker with his putter on the 7th green, only for the marker to stick to the sole of the putter in the wet conditions. In this type of situation the movement of the ball-marker is considered to be directly attributable to the act of marking and therefore the referee advised the player there was no penalty and the marker was replaced (Decision 20-1/6).